You’ve probably heard it a thousand times, but we’re going to remind you again – big data is a big deal. We live in a world where data has expanded to a point where we can’t even give you a numerical estimation of just how massive it really is. Even if we tried, there would be no point. However, here we go – according to IBM estimates, we generate about 2.5 quintillion bytes of data every day. What’s even more interesting is that 90% of all the data that has been generated so far has been done so in the last two years alone. What that means is, data has grown exponentially and it’s going to play a greater role has time progresses. For instance, we are already entering the IoT(Internet of Thing) era and the amount of data from such devices is going to occupy a significant amount of space. In other words, the data we handle today is nothing compared to what we’re going to be seeing in the near future. So, the need to engage with data in a more meaningful way is growing and becoming more important day by day. However, there are challenges and opportunities here. But, once we have a good idea of how all this data can be used, we can, with far more accuracy, determine trends and identify key insights that allow us to conquer the market. Based on what we just discussed, it’s fairly obvious that there is no way to gain valuable insights unless we can develop a system to capture these extremely large amounts of data and analyze them. Needless to say, what we need are stellar analytics tools that boast this capability. Tools like this allow businesses to make educated and informed decisions. Something that can help us benefit from the best of human intelligence as well as artificial intelligence. But, where can we find such a powerful tool? Well, the good news is that we already do have such a solution amongst us – it’s called Salesforce Einstein. Salesforce Einstein is an AI program that can acquire and analyze data – huge amounts of it. In other words, it’s prepared for the data deluge that we’re going to encounter tomorrow. Einstein sources data from the Salesforce CRM and also, IoT devices. It then breaks the data down to provide useful information that businesses can leverage in terms of coming up with a viable and effective course of action. 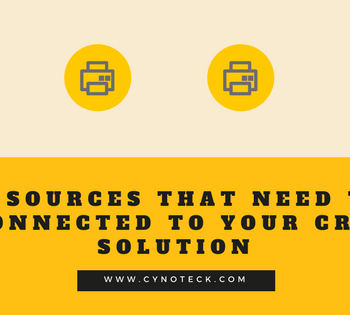 This information, used in the proper manner, can help a business improve everything from marketing to customer service. Einstein allows businesses to engage in all forms of selling while improving targeting capabilities at the same time. Businesses can achieve a level of pro-activeness never seen before. But, it doesn’t end there. Einstein also enables businesses to anticipate issues and solve them before they snowball out of control. To put it simply, it’s the best thing for your business today and tomorrow. Einstein isn’t your average AI. It has been specifically developed to aid humans, in that, it allows business teams to achieve more productivity by feeding them with key insights, automating basic tasks, and even predicting outcomes. Einstein moves away from the typical human-like thinking and instead, provides additional intelligence that supports the human workforce and strengthens Customer Relationship Management. For example, it’s predictions or insights don’t come without preparation. Human teams will be informed of why a prediction has been made or how an insight has been gained. Einstein learns well and leverages feedback to do this. So, ultimately, it’s a user who has the power to make the most of Einstein. To put it simply, Einstein does all the heavy lifting in a smooth and efficient manner, while providing human teams with key information that can change the way they execute strategies or carry out plans. If you are looking for any help regarding Salesforce Einstein or Salesforce CRM than Get in touch with us. We would be happy to provide you high-quality Salesforce consulting services.